One more week to go and school year 2009-2010 will be over. Graduation of 36 Grade 6 students and 35 4th year students will be on March 27, 2010. Of the 71 graduates, 30 of them are scholars of the Tapulanga Foundation and are very grateful for the opportunity given to them by their sponsors to finish in St. Francis of Assisi School. Our graduation is only a week away. I am so excited to receive the diploma I deserve and go through college life. I wonder if it would be more enjoyable than my experiences in high school? But I know, whatever the outcome, it still depends on the choices I will make. This last quarter was the busiest one we’ve ever had. We got all “wrapped up” with our projects. Among these is the Investigatory Study (Physics), Project Proposal for the School (Economics), and the “Play fest“(English and El Filibusterismo). We were so glad that the exams were held earlier because all we wanted after months of doing schoolwork is to relax ourselves from exhaustion. Also, since lessons in school started, our class has been working so hard to save money for our educational trip in Dumaguete. It’s nice that the school approved our selling of foods during recess and lunch time. It became easier for us to accumulate the amount of money we need to attain. For the whole week since March 15, all we did was practice and practice and practice all morning for our graduation while in the afternoon, we taught the Prep class for their tribute to their parents which will be held next Friday. Practicing was fun especially because we were combined with the Grade 6 class but I think teaching the little kids is more satisfying. We are learning so much from these children, even if we’re ten years older than them. My last year at St. Francis of Assisi School is about to end. I feel blissful because I have successfully fulfilled my responsibilities as a high school student. I am also grateful for the financial support you gave me. I pray that you may continue to help other students who cannot afford to go to a private school due to financial reasons. Through your works, you are inspiring young people like me to reach out to those who need our help-even in simple ways. Thank you very much!!! I also pray that God may guide and keep you protected always. 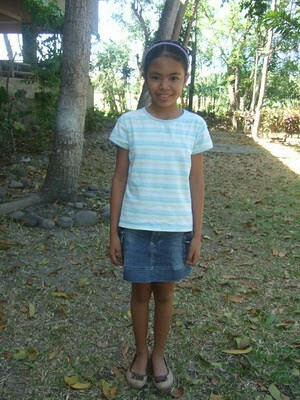 The Tapulanga Foundation is looking for a donor/s to sponsor Maryniel Ocquiana. I am Maryniel Ocquiana. You can call me Buday. I was born in November 2, 2004. I live in Sitio Takas, Barangay San Jose, E.B. Magalona. My father is Nonito and he is a fisherman. My mother is Marivic and works in a Day Care Center. I have 1 sister, Jessa Mae who is 7 years old and is studying in a public school. I want to be a Preschool teacher when I grow up. My favorite food are eggs and noodles. I love to draw, sing and dance. I help water the plants and sweep the floor at home. 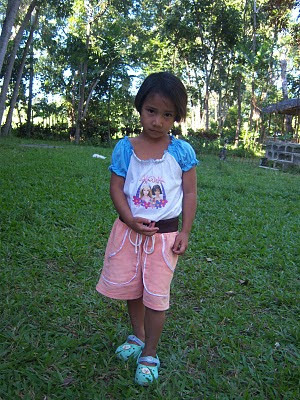 It costs Php7000 or $160 a year to send Maryniel to school. The Tapulanga Foundation is looking for a donor/s to sponsor Jewel Mae Eguid. I am Jewel Mae Eguid. You can call me Jewel or Je je. I was born in December 11, 2004. I live in Hacienda Luguay, Silay City. My father is Re and he works as a laborer in a sugarcane farm earning Php3000 or $70 a month. My mother is Jessilyn and she stays home. I have 1 sister, Ma. Ria who is 19 years old and in college now. My favorite food are spaghetti, hotdog and ice cream. I help wash the dishes and sweep the floor at home. 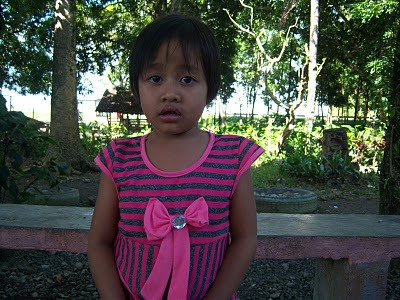 It costs Php7000 or $160 a year to send Jewel to school. The Tapulanga Foundation is looking for a donor/s to sponsor Eurylyn Celestial. I am Eurylyn Celestial. You can call me Eur or Oling. I was born in January 8, 1998. I live in Crossing Malisbog, Barangay Hawaiian, Silay City. My father is Christopher and he is a tricycle driver. My mother is Cherry and she stays home. We are five siblings. 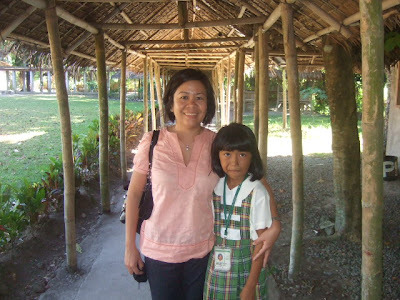 Eunice is a 2nd year high school student and scholar in St. Francis of Assisi School (SFAS). Shawn Eupher is 9 years old and studying in a public school, Famous Fame is 3 years old and Feuna is only 1 year old. I want to be a fashion designer when I grow up. My favorite food are spaghetti and pizza. I also help in taking care of my baby sister. It costs Php12000 or $275 a year to send Eur to school. Armando Chio and Chris Lawrence . Get to know them and you can choose to sponsor one or both of them! 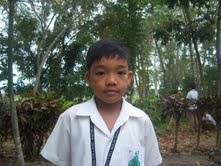 Armando Chio would like to continue in Grade 4 in SFAS in June 2010. Chris Lawrence would like to continue in Grade 3 in SFAS in June 2010. I am Armando Chio Lautrezo. You can call me Chio. I was born in October 17, 1999. I love to read and play. I help wash the dishes at home and clean the house. I am Chris Lawrence Lautrezo. You can call me Enzo. I was born in March 16, 2001. I want to be a computer engineer when I grow up. I love to study and play. I help wash the dishes at home. We live in Hacienda Lonoy, Silay City. 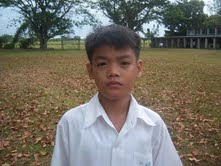 Our father is Christopher and he works as a driver earning Php300 or $9 a day. My mother is Gypsy Rose and she stays home. 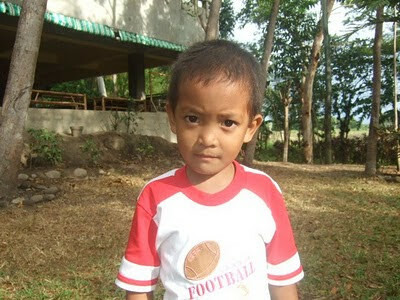 It costs Php6000 or $135 each a year to send Chio and Enzo to school. Add Php2000 or $50 to include their uniform and supplies already. IF YOU ARE INTERESTED TO HELP ONE OR BOTH OF THEM! The Tapulanga Foundation is looking for a donor/s to sponsor Irish Joy Andrada. I am Irish Joy Andrada. You can call me Ayeng. I was born in July 1, 2005. I live in Sitio San Francisco, Brgy. Latasan, E.B. Magalona. My father is Rogelio and he works as a laborer in a sugarcane farm earning Php400 or $9 a week. My mother is Antonieta and she stays home. I have 3 sisters and 1 brother. Jorne graduated in high school last school year in St. Francis of Assisi School (SFAS). Ro-an and Ana Rose are now 3rd year and 2nd grade students and scholars in SFAS as well. My baby brother Ian Benedict is only 1 year old. My favorite food are chicken, apple and corn. I love to act in front of the mirror. 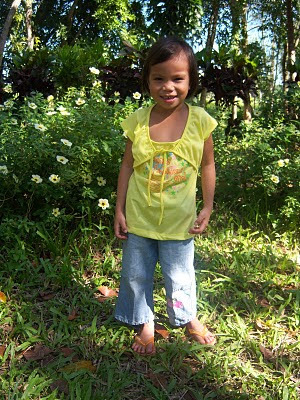 It costs Php7000 or $160 a year to send Ayeng to school. The Tapulanga Foundation is looking for a donor/s to sponsor Miah Capablanca. I am Miah Capablanca. You can call me Miah. I was born in March 1, 2005. I live in Sitio Cayum-it, E.B. Magalona. My father is Mario and he works as a laborer in a sugarcane farm earning Php500 or $10 a week. My mother is Lilibeth and she works as a housekeeper earning Php500 or $10 a week also. Both my parents studied till Grade 6 in St. Francis of Assisi School. I have five brothers. 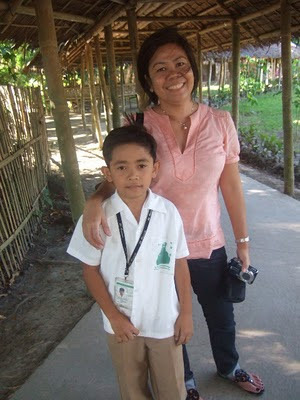 One of them, Miko, is a 1st grade student and scholar in St. Francis of Assisi School. I am the youngest and only girl. I help my mother wash dishes and clothes. 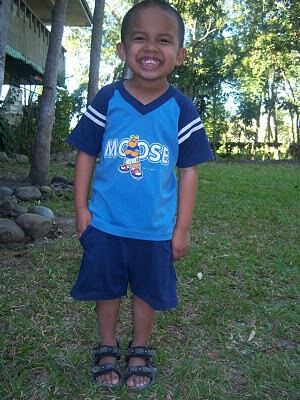 It costs Php7000 or $160 a year to send Miah to school.